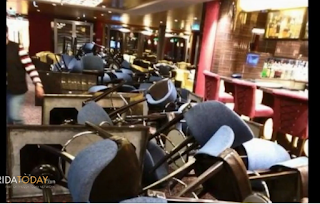 Just a couple of months after the sinking of the El Faro during Hurricane Joaquin in the Bahamas, Royal Caribbean's Anthem of the Sea had an encounter with extreme winds and seas damaging the ship, causing extreme discomfort for the passengers and crew, and sending the ship into port prematurely. The cruise line, in a statement sent to USA TODAY, suggested the "extreme wind and sea conditions" that hit as the ship sailed south from the New York area to Port Canaveral, Fla., were unexpected, noting that the wind speeds were higher than what was forecast. While I do not follow marine forecasts closely, I noticed the "hurricane force wind warning" was even on Facebook! 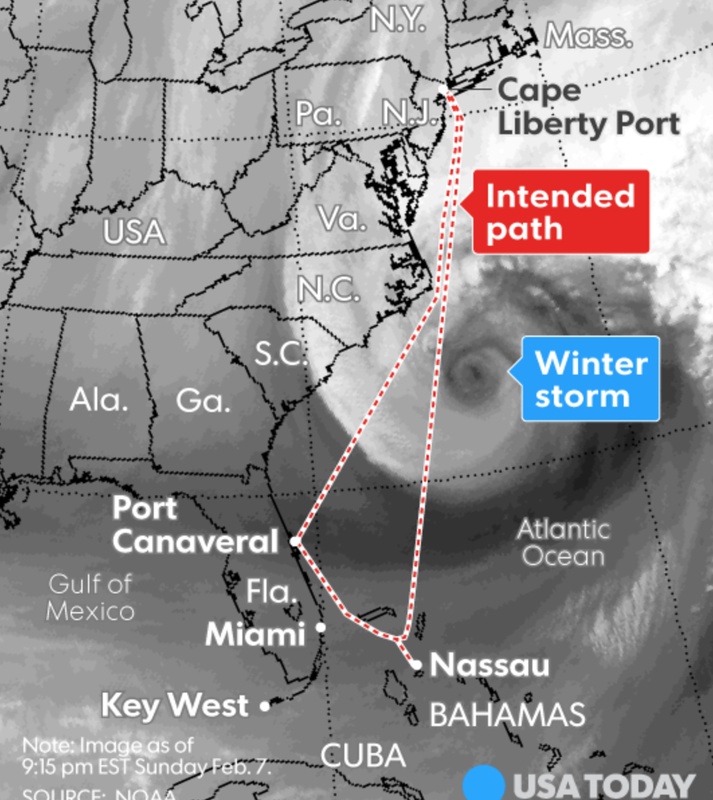 Any ship that sails into a forecast of hurricane force winds can't say the winds were "unexpected." 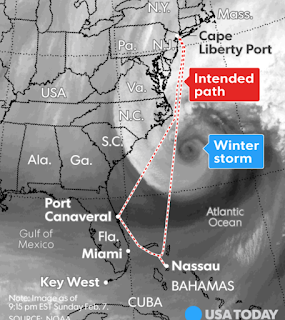 "The storm was well forecast by many different weather models from every agency. This was not a surprise to anyone watching the weather on a daily basis," [Tropical weather expert Dr. Ryan] Maue said Monday afternoon. "The extreme impacts were also quite predictable and expected by meteorologists at NOAA OPC (the National Oceanic and Atmospheric Administration's Ocean Prediction Center) and private forecasting companies. Folks all marveled at the extreme intensity of this storm on Twitter." Here is what I don't get: The reluctance of so many businesses to use modern meteorology as an essential business tool. They wouldn't consider doing business without attorneys, accountants and security people. Why is modern weather science lagging behind in acceptance? Remember the East Coast blizzard of two weeks ago? 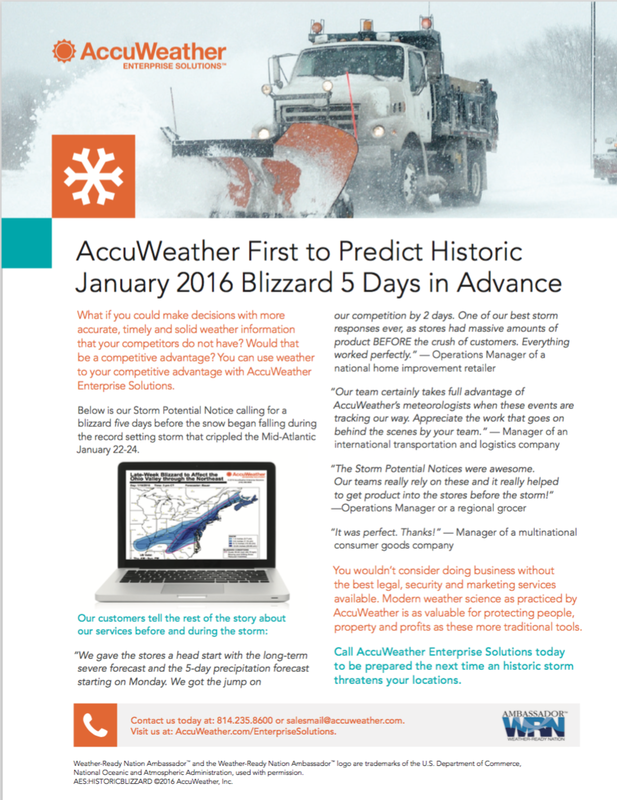 Here is a report from AccuWeather Enterprise Solutions showing our forecast five days in advance. You can read the entire report here. The report includes verbatim quotes from our customers as to how they used the information to make their business more profitable and better run during the storm. 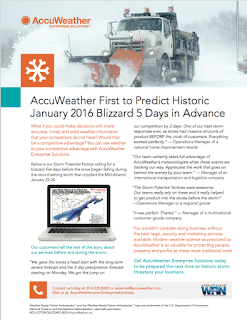 One of the national retailers said they had "massive amounts of product BEFORE the crush of customers" [capitalization in original] as a result of AccuWeather's forecasts. If you are not using modern meteorology as a business tool, your business is less profitable, less safe or less efficient than it could be. ADDITION: Since posting the above, here is Royal Caribbean's reply. The captain says the winds were "not forecast" and he said the winds were 150 knots (170 mph). This is equivalent to a Cat. 5 hurricane. I would like to see his evidence for this. If true, weather science could learn a great deal from this experience. That said, he still sailed into a "hurricane wind force" forecast. Bad things can happen when the wind is that strong.